Automated security gates or access gates can add beauty, security, and value to your home or business. We can do a customized design that reflects your style and an easy to use access system. You’ll count with specialists automated security gates Chicago who make it easy to design, install, and maintain. 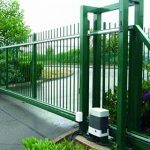 Our services of automated security gates include installation and repair on a wide variety of gate operators, entry systems and access controls. Responsibility, quality, and professionalism have enabled us to be recognized as one of the best companies in Chicago. Aside from fence fabrication and fence repair in Chicago, the team at Osceola Fence Company provides automated security gates to residential and commercial clients. Security gates are also known as; automatic gates, electric gates, electric gate openers, electronic gates. Let our experts decide which is the perfect fit for your business. Make A Lasting First Impression! Gate operator installation in new or existing doors is a great compliment to an existing fence that allows you to have free access through remote control function. Custom design and professional fence installation, you can trust the team at Osceola Fence corporation to complete the job thoroughly and professionally. Our technicians are prompt and experienced; they will explain the details of what the job entails and clearly lay out the options related to equipment. To get in touch, we encourage you to contact us and Browse below to view our recent commercial automated gate gallery. 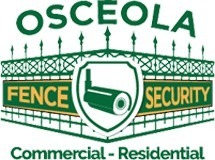 Osceola Fence Company offers automated security gate installation for businesses across Chicago, Oak Park, Cicero, Berwyn and surrounding cities.